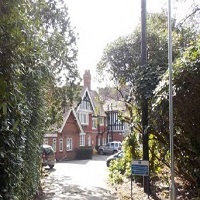 The site comprised an existing 72 bed care home and its associated grounds, including numerous outbuildings and stores associated with the maintenance of the buildings and grounds. The site previously benefitted from an outline consent for a replacement 122 bed care home which was extant at the time of the application. Tetlow King Planning worked with Pollard Thomas Edwards Architects to justify the special circumstances and to smooth the path to permission. The new permission increases the existing floor by more than 4 times that of the existing building..